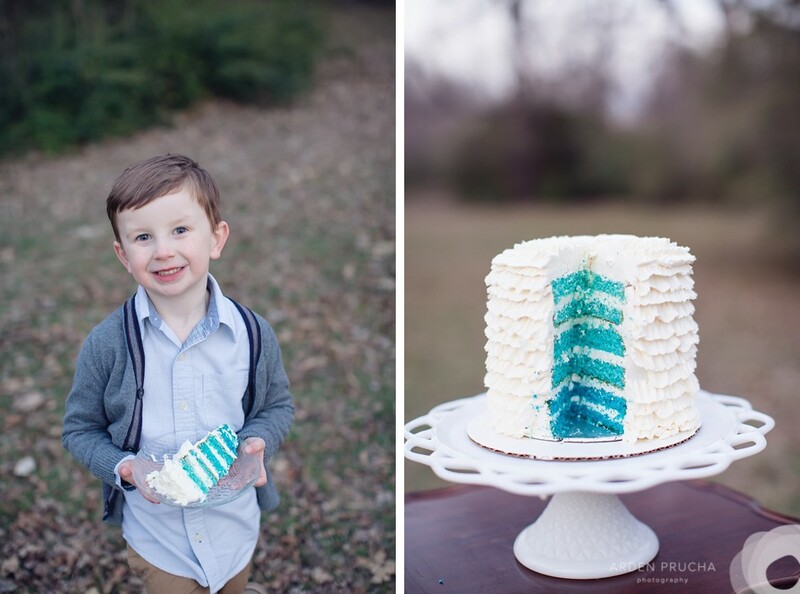 CAKEWALK BAKE SHOP: It's a BOY! 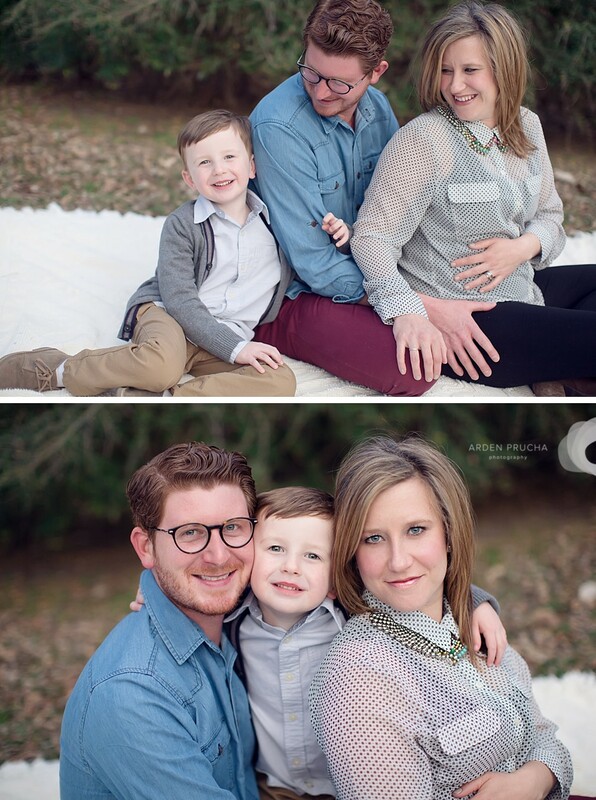 So excited to share these beautiful photos from Arden Prucha of the adorable Mooty family! Brooke asked us to make a sweet little buttercream cake for her family's gender reveal photo shoot. She wanted to capture all the genuine joy and surprise for her reveal on camera, so without peeking, she handed us the sealed envelope straight from the doctor's office. We opened up the announcement and made a special cake with colorful layers inside. 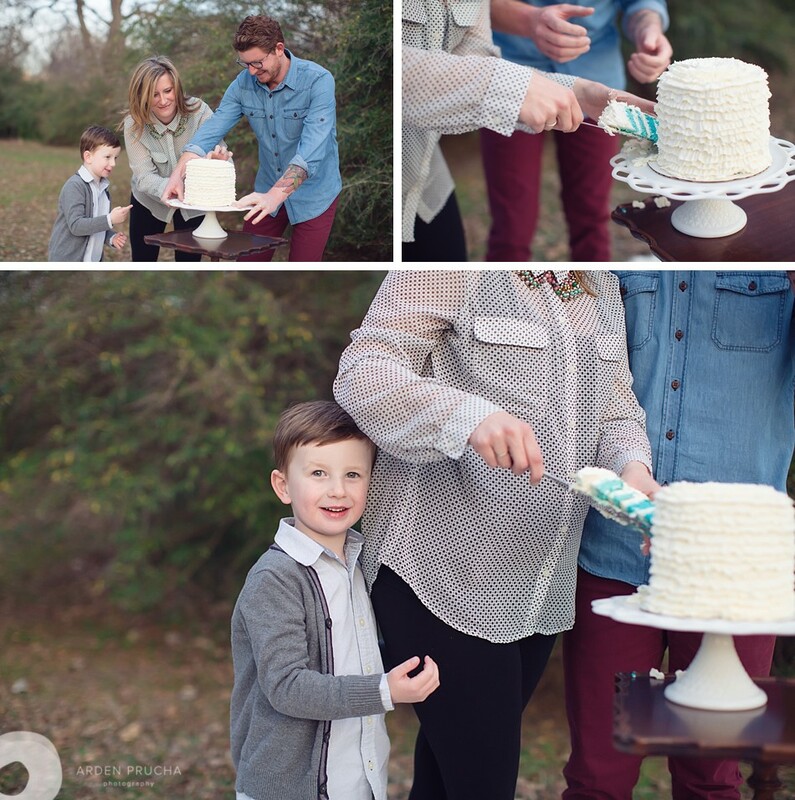 When the family cut into the cake and saw layers of bluuuue, they realized another little boy is on the way! I just love these images from Arden! She really captured all their love, joy and excitement. How cute is little Ben?!?! Can't wait to meet their next fella. It was such an honor to be part of this special moment with this beautiful family! Just another reason we absolutely love what we do! Special thanks to Arden Prucha for letting us share these images.